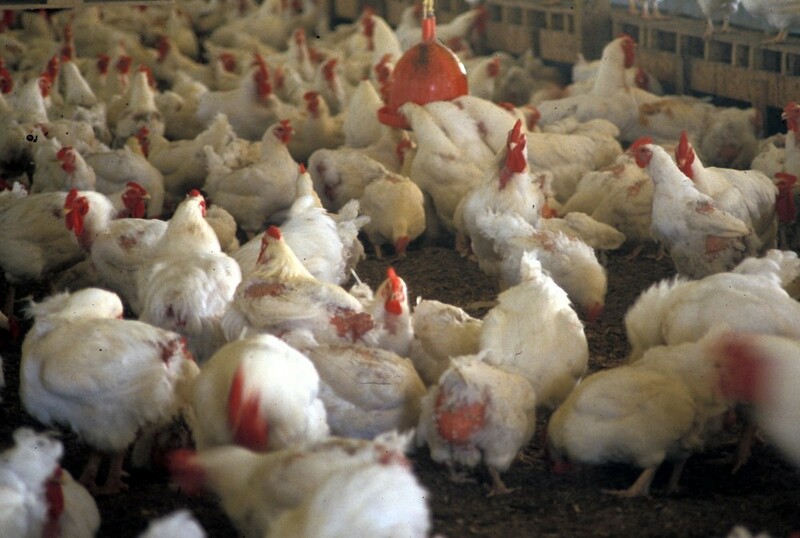 Environmental activists clashed with Maryland’s agriculture secretary and the poultry industry over legislation designed to shift the burden of cleaning up excess chicken manure runoff from taxpayers and farmers to larger poultry companies. Sen. Richard Madaleno, D-Montgomery, the bill’s sponsor, told the Education, Health and Committee Tuesday that current regulations are not sufficient. Those regulations are aimed at reducing the amount of nitrogen and phosphorous in the Chesapeake Bay — nutrients which can partially be attributed to chicken manure runoff from Eastern Shore farms. He said that as the state finishes implementing its new Phosphorous Management Tool, new regulations will say an estimated 228,000 tons of chicken litter will not be able to be disposed of on the Eastern Shore. The Poultry Litter Management Act, SB496, has 13 Democratic co-sponsors, including committee chair Joan Carter Conway and vice-chair Paul Pinsky. It shifts the burden of disposal and delivery of manure to a person or company that owns poultry raised by a contract grower, instead of the grower having to handle it. The owner would be required to follow previously agreed certified nutrient management plans to do so, and the bill would also allow contract growers to sue poultry manufacturers for potential violations. Senate President Mike Miller pleaded from the rostrum today for the senators to listen to both sides at Tuesday’s hearing, because the bill has become a contentious issue. Maryland Agriculture Secretary Joseph Bartenfelder asked the committee to reject the bill, stating it was unnecessary and that current Phosphorous Management Tool regulations implemented just last June have resulted in significant progress. That tool identifies farm fields with the highest potential risk of excess phosphorus and is intended to limit buildup in soils that already have high levels of the nutrient. “Let us do our job, let us work with all of you; there’s no need for this bill at this time and [let’s] keep the value of that poultry manure where it is, where it’s been, and that’s with the farmer,” Bartenfelder said. Major Maryland industry player Perdue Foods also opposed the bill. Stephan Levitsky, vice president of sustainability at Perdue Farms Inc., said the company is environmentally conscious and that the proposed bill would not be effective. “I am here today to speak to concerns that poultry farmers are burdened with excess poultry litter and that the recently enacted Phosphorous Management Tool, or PMT, will result in significantly more litter that cannot be applied to farm fields and thus in higher costs to taxpayers,” Levitsky said. Doug Myers, Maryland senior scientist for the Chesapeake Bay Foundation, testified in favor of the bill, saying it supplements existing regulations that need to be upgraded and solves implementation challenges of the Phosphorus Management Tool. He said that as the Phosophorus Management Tool is phased in to determine which fields are able to accept additional manure, the distances and volumes of manure will grow. Claire Fitch, a program officer with John Hopkins University’s Food System Policy Program at the Bloomberg School of Public Health, spoke of health hazards associated with boiler houses where chickens are kept prior to slaughter. “A single boiler house can now hold up to 60,000 birds and oftentimes there are multiple boiler houses located on a single parcel of land,” Fitch said. Fitch also said that boiler houses emit harmful chemicals such as nitrates, which if ingested could potentially cause diabetes, multiple types of cancers, and birth defects. Sen. Stephen Waugh, R-Calvert & St. Mary’s, questioned the veracity of the panel’s research, suggesting it was outdated because it did not include documentation subsequent to last year’s PMT regulations and expressed doubt about previously described health hazards. “Have any of these studies been done since the PMT regulations have changed — that we caused to be changed from legislation last year,” Waugh asked. The panel could not answer the question as their research concluded in FY 2015. Dr. Bruce Stewart-Brown, senior vice president of food safety, quality and live production at Perdue Foods, and is also a veterinarian, sought to counter claims about potential health concerns related to production.